Hola! 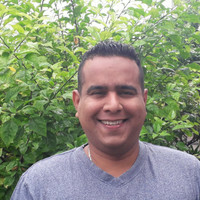 My name is Luis Orlando, I am Cuban, born in Havana, I have worked for over 18 years for tourism in Cuba, making each of the visitors who have come to this magical island feel at home. 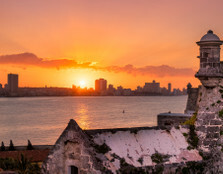 Cuba has it all, great food, modern cities, colonial cities that are jewels in the world, a unique nature, the best beaches of the Caribbean, with endless tours that will make you know, explore and connect with one of the most famous and attractive destinations worldwide. 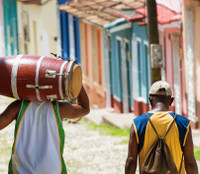 Also to live the local experience with the casas particulares and the daily Cuban way of life is something you will never forget, I am sharing a tip already: the best of Cuba is its people. I am truly a specialist in Cuba as a touristic destination, that being said you are just in the best hands to fulfill your dream vacation. So, what are you waiting for? I am available to help you with every detail of your trip to make sure that you are going to have a perfect trip to Cuba. This review is for Judith. We have nothing to complain about Judith's help with our trip. Everything has worked according to our plans and wishes. With Judith's help, we just got the trip we wanted. This review is for Tom. This was my third time using trip.me, and not nearly as good as the first two trips to Uzbekistan and to Mexico, which were excellent. Tom was responsive but distant. He could not or did not want to understand that we could not use our phones in Cuba and were cut off. The itinerary on the Cuba app was cleary generic and has nothing to do with our particular trip. His contact in Cuba, Junior, was not involved either. As a result, when we got to our apartment in Havana, nobody was there to meet us and we had to call from the neighbors and wait for somebody to show up. The Casa Particulares were hit and miss. Two were unacceptable, two were decent, and one was great (In Santa Clara). The transfers worked very well, to be fair. Overall, given Cuban prices, we felt that we were significantly overcharged. We received your review, thank you for your feedback! I am sorry to hear that we did not meet your expectations for the trip. We would like to understand what went wrong during your trip. I hope that you still enjoyed your holiday in Cuba, and I look forward to your feedback about the telecommuncation, the app and the casas. We received what we hoped for; transfer from the airport to our casa, the casa's and car rental were perfect! The app was very helpful! Received an email advising that a visa for Cuba would be sent to me a few weeks before departure, when I questioned when it would be received Judith advised this detail was sent in error but I should have been aware this was incorrect as a visa was not originally quoted. When we visited Panama the local advisor was very helpful when we had a issue, I am used to travel advisors doing all they can to answer queries (such as Letitia in Panama), anything out of the ordinary appeared to hard for Judith. Maybe this is because she was not a local in Cuba. ​​We are sorry to hear that you're not totally happy with our services. We did make a mistake with the communication about the visa, but I'm glad it worked out in the end with obtaining your visa. The reason why we're not working from Cuba is because of the (internet)connections, there are not that trustful in Cuba which can mean sometimes we can't communicate with our clients for days. We want to thank you for your feedback and we will definitely work on it! I hope you have enjoyed your holiday anyway! Service had to be revised as going along. The accommodation in Santa Clara had been changed without notifying us. Everything planned in Cuba worked out perfectly. Tom arranged a trip for me and 7 friends to Cuba. He listened very carefully and patiently to what we wanted and was kind enough to keep making alterations (because we changed our minds a lot during the process of creating the itinerary) until we found the ideal schedule that fit our needs. We stayed in Havana, Trinidad and Varadero and made short stops at Santa Clara and Cienfuegos along the way. Both the accomodations that Tom had booked for us (especially the casa particular in Trinidad) and the transfers and excursions/tours were perfectly planned and to a very high quality. We were very positively surprised because when we first booked the trip we were a bit hesitant trusting an online travel agency. Thanks a lot Tom for all the effort you put into this. We will definitely recommend your services to others as well as use them ourselves again in the future. This review is for Maayke. Maakye was extremely helpful and competent in getting our itinerary ready. The trip itself was perfectly well organised and all went as planned. We thoroughly enjoyed our stay in Cuba and highly recommend Maayke and trip.me! Everything on the trip went very smoothly with a host of wonderful helpful casa owners. One thing that was a bit tricky was that our casa owner wasn’t there to meet us on our last night in Havana. When we called the number provided, a lady answered who said they had nothing to do with the agency. We eventually tracked the casa owner down but it was some worrying moments. We had a wonderful time in Cuba on our family holiday. Maayke helped us organize our customized trip which combined authentic experiences at casas particulares with a final relaxing few days in a beach resort. She was very prompt in coming back with ideas and with revisions of the trip based on my questions and requests. She was competent, professional and friendly We also booked some excursions in advance which proved to be very interesting and different from the usual tourist tours. I appreciated the punctuality and friendliness of our drivers too. We booked private transfers in advance and everything worked very well. I would recommend Maayke's services and the Mi Cuba team to those who wish to have a more authentic experience in Cuba. The service and the organization of the trip thru Maayke were very good and everything worked out as planned. Thank you! From my experience and to future travellers I must say that three nights at Trinidad are too many - especially when you are staying another two nights at la Boca. The rest of the trip was nicely planned and the Casa particulars are all at a good level with friendly hosts. Maayke was great during all the period we were scheduling my trip to Cuba! She was really informative and helpful and she replied to all of my questions really fast. Also she was really patient, since I changed my mind for my itinerary 3 times and she always adjusted the schedule accordingly! Everything was planned perfectly - our casas, tours, car rental etc. The only thing that she forgot was the vouchers for my internal flight - which I read in Cuba that were needed in order to fly to Havana from Baracoa. But even so, she provided a solution by sending same to the place we were staying in the middle of the trip. Concluding, I would totally recommend her as your travel agent! Maayke was really good at taking on board our requests and providing options. She organised a fantastic trip within our budget. All this casas were fantastic and in great locations, the drivers were all good and arrived on time. The whole trip was well organised. We thoroughly recommend Maayke to help to organise your Cuban experience. Maayke was very helpful from the beginning and until the end. She was always very responsive and proposed a trip that perfectly fitted our expectations. It was a perfect arrangements by Maayke with many suggestions before finalizing the trip. We had several e-mail contacts to adjust the schedule and details. Professional planning resulted in a memorable trip to Cuba. The whole trip was well-organised and structured and we didn't run into any big problems on the way. The accommodation was of good quality and overall I felt Maayke catered to all our preferences with our travel through Cuba. On a side note- all our drivers in Cuba and one tour guide arrived to our accommodation half an hour early than the allotted time on our coupons which I found quite stressful as we had to rush to get ready as the early arrival was unexpected. Not sure if the times were wrong on the coupons or the drivers/guide were told the wrong time, of if they just wanted to show up early to get the service over and done with earlier? We had eight days with Maayke, the accommodation was very good, and generally the transfers were satisfactory. Tour guides in Trinidad and Havana were very efficient, interesting and well worth while, particularly when on limited time. Casa's were clean and hosts helpful, particularly Rey in Trinidad. We did have trouble with one transfer, the driver was rude and kept getting lost; however we made a complaint to Maayke, and are quite satisfied with how they dealt with our complaint. Maayke put together a package that suited our requests and interests at reasonably short notice, if I return to Cuba I will use them again. Everything worked out just perfect. A fantastic trip to magical Cuba. We just came back from Trip.me arranged trip to Cuba (Jan 2018). My husband and I had private transfers (Havana - Vinales - Cienfuegos - Trinidad - Santa Clara - Remidos - Cayo Santa Maria) and excursions (Vinales and Trinidad) arranged by Maayke. Maayke and Sophia's arrangement was impeccable. All arrangement went smooth as a Swiss clockwork without any delay and hiccup. All arranged Casa Pariculars were excellent choices (located conveniently near center of towns and rooms were attended cleaned and their owners were very nice.) Private Guides to all excursions spoke English fluently and their personalities were warm and excellent in guiding and explanation. Great job. Thank you sincerely. Our next trip to Cuba's east will be definitely arranged by Maayke. Best of professionalism. The team well deserves high recommendation. 1. When she replies our emails, she always replies to only one of us, not all of us. We have told her three times to Cc my friend, but she only did once after that. 2. Missed Voucher for our trip. We have spend time and money to reach her in Cuba (a place with very limited internet and high cost of sending message) 3. Wrong Hotel booked, not the one she confirmed with us. The one we missed was for our new year eve. She even didn't inform us the changes. 4. On the last day, the driver pick up us at 18:30. But we got informed the time should be 19:00. So the drive thought that we were the one 30-min late and blamed on us...Apparently, someone informed one of us with a wrong time. Overall we very much enjoyed our trip to Cuba. It was easy to communicate with Maayke, and her planning and timing were very good. All of the transfers were on time. Our guides were also very good and we learned a great deal from them about life in Cuba. Our accommodations were good, with one exception (the casa in Trinidad). Every detail of our trip was taken care of by Maayke - service and efficiency were excellent and any problems quickly dealt with. The casas were varied and all very well mantained by very friendly and helpful Cubans. We had an unforgettable trip in Cuba, really seen the country and al it's colorful differences. Maayke organized it exceptional well, everything of trip worked out according to the planning. This review is for Monique. High value in competence, a good support from the beginning in evaluating and choosing the round trip suitable for us. We enjoyed a great service, everything was well organized, accomodations in the quality as we expected. It was a lovely trip to Cuba. Any time again. This review is for Savannah. The trip was very well organised. The booked casas particulares were very good. The Owners were kindly und helped us with information and nice hints. Cuba doesn't be an easy country. You need a lot of time on the roads depending on the quality of streets. The noise level is unusually high. But on the other hand it's very interesting to see a country with high idiological aspiration but very poor development of everyday life. The supply of people with common goods was astonishing low but the most people were well tempered. The aggressive beggery was unexpected and clouds the impression a little bit. Well, you get the impression that old Europe is a island of blessed people. Overall it was a very interesting trip with a really good preparation and organisation. Great experience! Thank you for all the arrangements. We had a fabulous time. Arrival - meet&greet waiting. No car. Waited another hour. Casa- lovely hosts, nice room and bathroom. Breakfast tailored to our needs. Hemingway tour- highly recommended. Excellent guide. Thorough history and visits to home, fishing spot, two pubs and hotel. Excellent Old city tour - one hour drive good. Walking tour covered much of the area walked in the morning. We should not have done them on the same day. Excellent guide although she did want to steer us into certain shops. As we are not shoppers, we did not oblige. Vinales tour - full day. The best guide ever! She was excellent. We thoroughly enjoyed the day. We went to a tobacco farm and the farmer and his family were incredibly well spoken and informative. The dinosaur wall was interesting and the free drink a welcome surprise! The lunch was good. The driver skilled and pleasant. A highly recommended tour. Some of the vintage cars were uncomfortable for long periods of time. The wait at the airport for a car was annoying as no explanation was given. The guide in the Old City Tour was keen to get us into certain shops. Not appreciated. The gift of a bottle of rum was unexpected and highly appreciated! Thank you. A wonderful experience overall.